Happy new year to you all and: CAST ON! It’s finally time to grab those pretty yarns you had in your stash until now and mix and match them with the patterns you have in your trunk/library/book shelf/Ravelry queue for ages, because we’ll Use What We Have and marvel at the wonders we had forgotten about already. This will be a fun event for all of 2019, with cool giveaways and new and old friends. Discover old but new designs from new but old designers, pretty yarns and just make beautiful things! And cast on is NOW! From today until Dec 31st 2019 we’ll knit the hell out of our stashes and libraries! Head over to my Ravelry group and join the fun. Oh, and just to make you see how serious we are about this: Here is the January prize! The first of 12 prizes for this 12 month long KAL! A beautiful handmade project bag from Nadelmikado (yes, I know, you know!) in size S, perfect for the sock-sized projects I know you love so much. Shipping world wide. Second: Grab any stash yarn you had in your stash BEFORE JAN 1st 2019 and match it to a pattern that you owned before Jan 1st 2019 (free, paid, book, digital, NOT YOURS and none that you already used before) and mix them both. 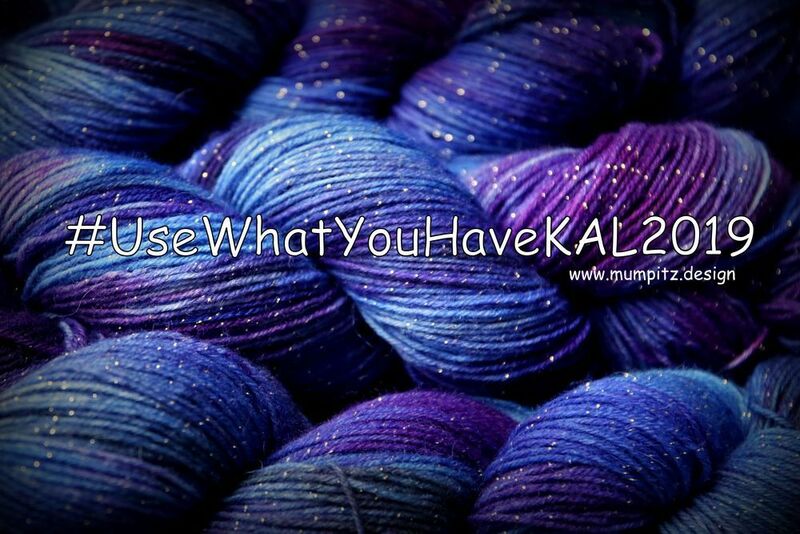 In your Ravelry project page: Tag yarn (if applicable) and designer (same), rate pattern and tag your project with UseWhatYouHaveKAL2019, so that we can find it. Projects cast on before Jan 1st 2019 are not eligible for this KAL. 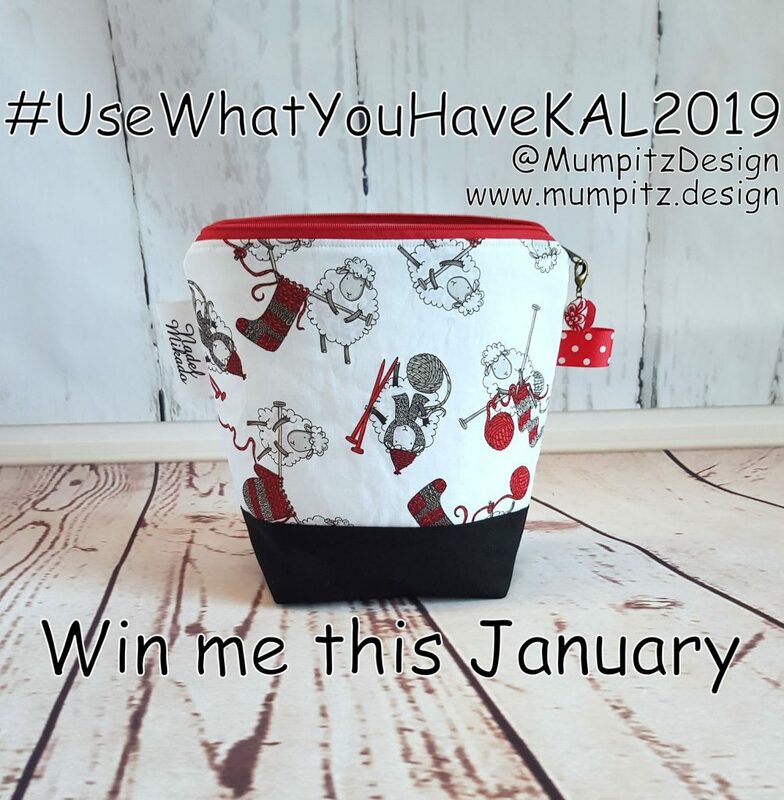 If sharing on social media please use the tag #UseWhatYouHaveKAL2019 so that we can find your lovely projects! Third: Finished? Post a picture of your FO in the FO-thread and hit Love for all the other lovely projects you see in there. You are very welcome to post progress pictures and thoughts and chat away in the chat threads. The winner of the monthly prize will be randomly chosen from the FO thread, so hit your stash and queues and cast on! Ps: This means in no way that you shouldn’t buy new patterns or yarns! 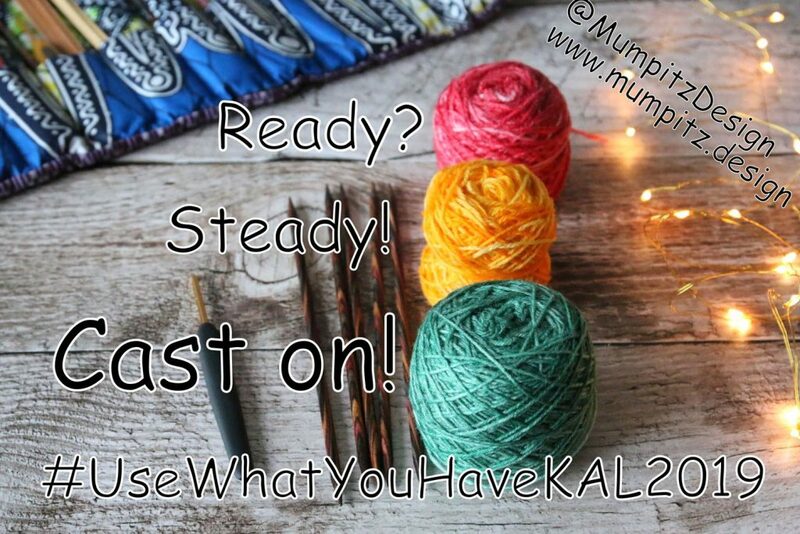 But for this KAL pease use only what you already have. They deserve the love, too!! 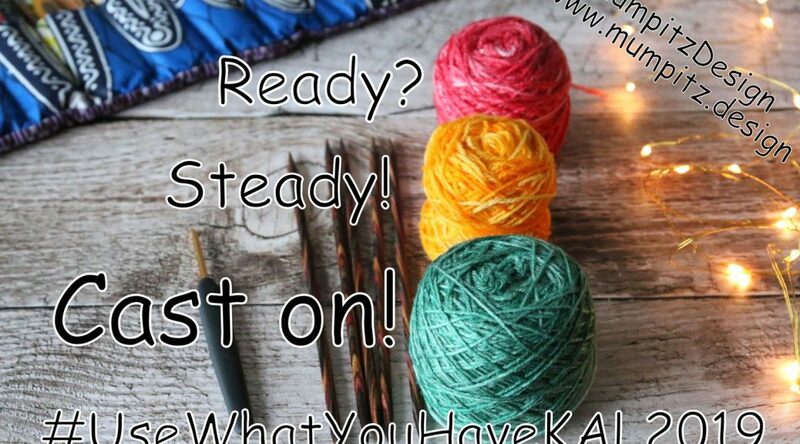 Join us if you are a designer: Encourage your followers to knit those pretty patterns of yours that has been sitting in their queue for too long using whichever yarn they have and share it on Ravelry and other social media tagging you and the dyer. Join us if you are a dyer: Encourage your followers to knit any of their favourite patterns using your gorgeous yarns they have been drooling over for too long and share it on Ravelry and other social media tagging you and the designer. In this way everyone has fun, your yarns and patterns get the love they deserve and we finally get to use them! And if you want to donate a prize we’d be as happy as clams, so contact me if you do. Let’s make 2019 a happy year! 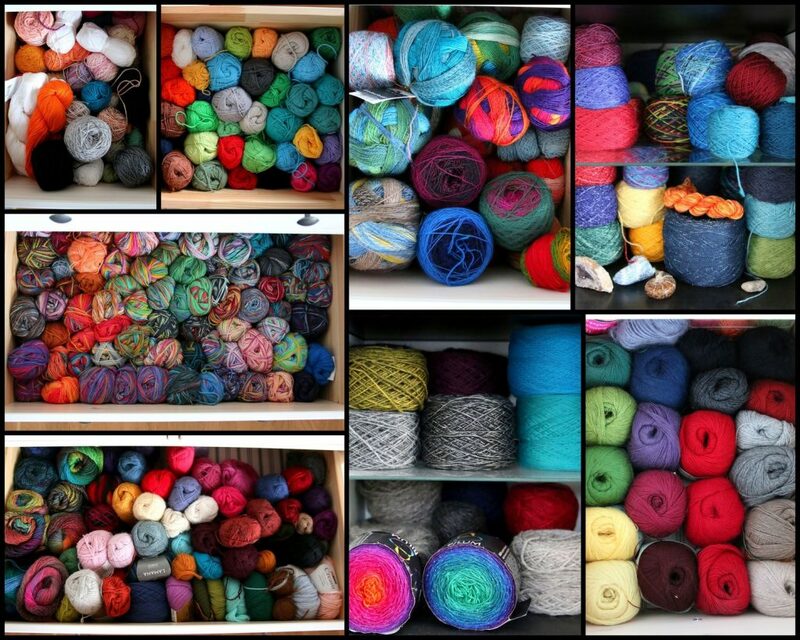 I’ll hit my stash now and start knittinnnnnnnnnnng!!! This is my stash. Oh yeah, we will rock you!